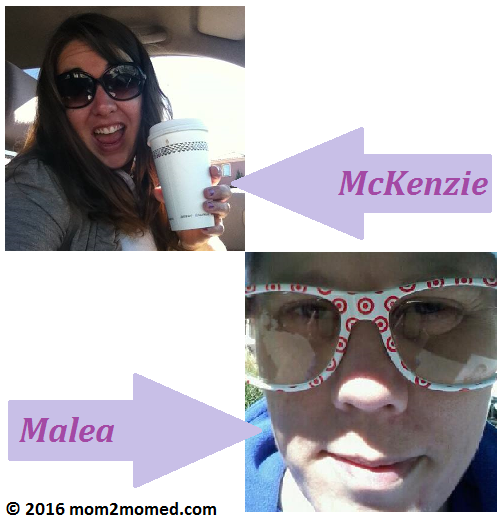 We are McKenzie and Malea, two parents and educational professionals, and it is our mission to help empower you to take control of your children's educations in a way that best fits your lifestyle and your family's needs. We believe in finding the path that best suites your children and not necessarily following the crowd. Would you believe we lived across the street from each other growing up, but we weren't actually friends at that time? Malea is a few years older than McKenzie and was McKenzie's babysitter for several years. Eventually Malea went off to college as McKenzie went on to high school and they lost touch for a while. As we got older and started our own families, we found our way back to each other and now are great friends! I’m a mom, wife, friend, daughter and dreamer. I have the cutest kids and the goofiest husband, and they all know how to make me laugh. On the weekends we bbq, ride dirt bikes, hike and explore. During the week, we’re the typical busy family just trying to survive parenting our two kids (3 and 5 years old) and trying to stay relatively sane in the process! I met my husband online (if you know him, I know that’s hard to believe!) over 10 years ago. We were married in 2009 and hit the ground running from there. We bought a house, got a dog, had two kids and are just waiting for our next adventure. I’m currently a work-from-home mom, but prior to that I have been a trainer, social worker and teacher. I currently balance working from home with several side gigs and they keep me just busy enough to feel like I have a regular full-time job (or two or three!). I attended California State University, Sacramento and received my Bachelor’s Degree in Social Work. I then went on to receive my Master of Education and Teaching credential from National University. I have worked extensively with transitional aged youth who are transitioning to adulthood and aging out of the foster care system. I have also taught parenting and life skills classes for various agencies and worked with parents who are in the process of reunifying with their children. Despite my extensive skills and professional experience, nothing prepared me for being a mom. I’m always reading, learning and seeking out new ways to do things and how to be a better parent. I love to learn and share and look forward to taking this journey with you! I’m an introverted, sometimes shy, single mom to a fantastic soon to be an adult son and to two dogs. My son and I have formed a tight bond over the years and I have loved watching him grow up, explore the world, and become his own person. We both enjoy travel, foreign languages, and listening to NPR. My son also is a bit of a techno-geek and nerd (his own words) and still enjoys Legos, drawing, and all things computer related. I love to read and would love to figure out how to earn a living by reading the books I want to read as my full time job, but that just hasn’t happened yet. I love trying new foods, but at the same time am freaked out by new foods due to a life threatening dairy allergy. I received my undergraduate degree in Arts and Letters (think: English, humanities, history, anthropology, art history) from Portland State University, followed by a Master of Fine Arts in Writing from Sarah Lawrence College. I also have extensive experience tutoring numerous subjects, teaching all aspects of English and ESL at the collegiate and high school levels, teaching public speaking, and mentoring homeschooling families. Like McKenzie, I also have several side hustles that keep me busy (but I love it!). As a hobby and side gig, I also work as a medical scribe and consultant. I never grew up wanting to be a mom or an educator, but I have found that I absolutely love both. They define me and complete me in ways I never would have expected. I love seeing how others parent and educate and I love sharing how I do as well; we all have something to offer one another and I look forward to sharing my experience and ideas with you and learning from you in return. Don't forget to like Mom2MomEd on Facebook HERE.